The best pitcher for mixing large batches of clump-free formula. The Dr. Brown’s Formula Mixing Pitcher is the best when it comes to mixing large amounts of formula for your little one. 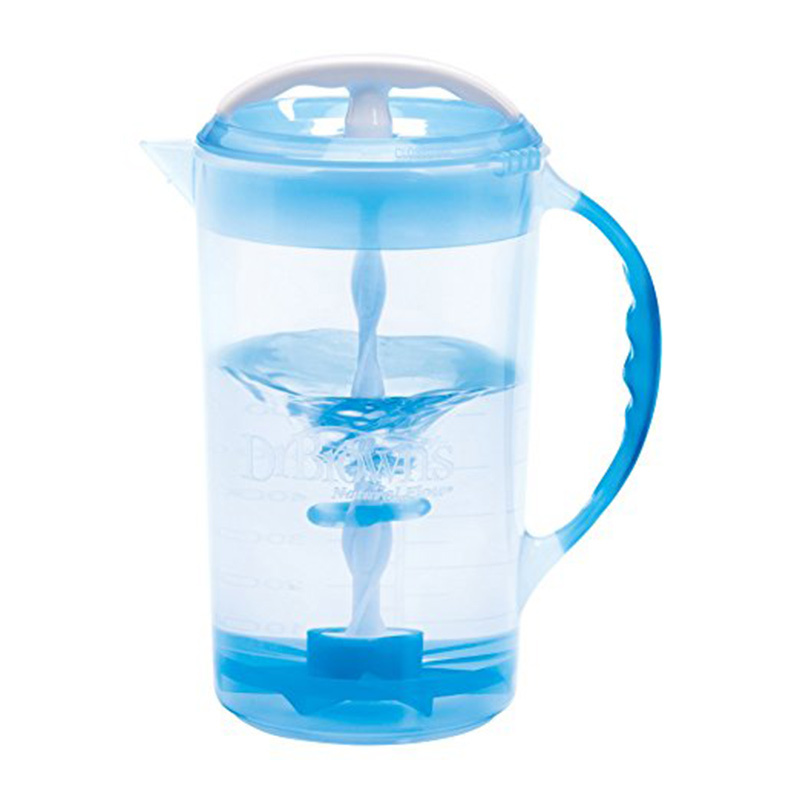 This pitcher comes with a uniquely designed blade the easily dissolves and mixes powered formula with no clumping and less foam than shaking a bottle. To mix your formula you simply add water to the pitcher, add the powdered formula, and assemble the pitcher top with the mixing blade attachment. Gently pumping up and down on the top handle mixes the formula perfectly. By using the unique blade and pumping motion to mix the formula this greatly reduces the amount of air and prevents foam from forming. Infants that have issues with gas will greatly benefit from this mixing technique. With the Dr. Brown’s mixing pitcher you can make approximately 32 oz of formula at a time! A huge time saver for busy parents. After you’re done mixing the formula, by twisting the lid you can lock the pitcher and store in the refrigerator for later use. And when you are all finished you can easily clean the container since all parts are dishwasher safe.